The bicycle which became an art object. I think this situation is good! Rolleiflex close-up shooting is troublesome for Rolleinar setting. 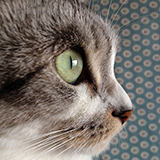 Cat blog : Koharu photograph. All photos Copyrighted © 2012-2017 寫眞の音 All Rights Reserved.